Success never comes easy. A person needs to a put lot of efforts to make things happen. While there is no shortcut to success, there are some leaders who are able to envision the future and make a significant impact on a certain industry. 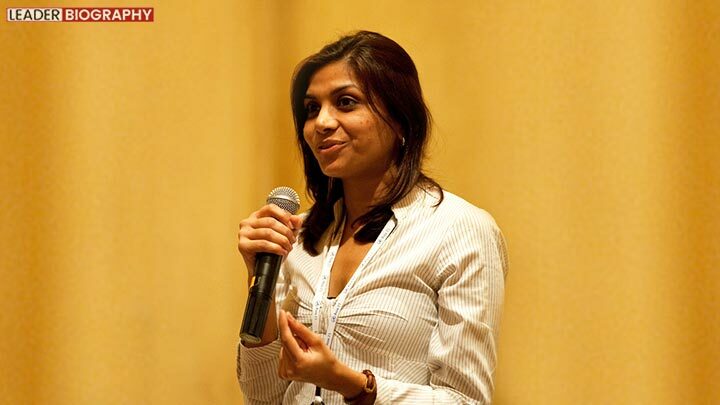 Sweta Mangal, the co-founder and former CEO of Ziqitza is one of them. The journey of Sweta Mangal started from Rajasthan, when she decided to tread on a path, which was bound to throw numerous challenges to achieve the desired results. Yet, Sweta Mangal, was ready to face them and change the landscape of a sector with great determination and zeal. Amidst all the challenges and hurdles, Sweta always had the support of her mother, who shaped her childhood in a different way. In 1997, Sweta Mangal went abroad for studies. The independence taught her to make decisions from an early age. She went on to complete her MBA from Rochester Institute of Technology in the US. After returning from the US, Sweta took up a job. Soon, she worked with many renowned brands, including Zee TV, TATA AIG and Marico Industries. She also started her own ‘Mangal Newton School’ in Beawar in 2007. However, it didn’t took her long to foray into the healthcare and turn into a full-time entrepreneur. In a bid to fulfill her dream of improving the lives of people, Sweta Mangal, along with her fellow entrepreneurs started an ambulance service to provide emergency medical assistance to the people, especially the unprivileged. Her constant efforts resulted in the formation of Ziqitza Health Care Limited (ZHL). Operating more than 3500 ambulances, Ziqitza Health Care Limited, today is one of the leading emergency medical service providers in the country. The company operates under two models ­­­­-Cross-Subsidy (for the unprivileged) and Public-Private Partnership. It has already served more than 10 million people across 17 states in the country. For Sweta, it is always about serving the patients in need of emergency care, rather than promoting her ventures. This is what has enabled her to lead the way in the budding field of social business. With the success of Ziqitza, Sweta Mangal had achieved more than what she would’ve intended. But, she was not the one to stop there, and she soon came up with MUrgency Inc (a global emergency response network). A mobile app that connects people with the nearest doctor, nurse or paramedic for emergency medical assistance has made its mark in the healthcare industry. After coming through the ranks and creating a legacy of her own, Sweta acknowledges the never ending support of her mother, husband and fellow entrepreneurs for the success. Even today, she believes in team work to achieve all the objectives. Sweta Mangal was always committed to expand the operation of Ziqitza Health Care Limited within and outside India, and operate the ambulances across all the major developing countries. She has also set her sight on turning MUrgency into a global app, available to every connected citizen for medical assistance. Either you accept the challenge or run away. When you accept the challenges head on like Sweta, you will end up on the winning side most often than not. Nothing comes easy in life, you ought to strive for every bit of it. I don’t like lip service of leaders of this era. They must learn from people like Sweta Mangal, who do more and talk less. Hope this inspires them to know what really matters. Braving the odds, here is another leader from the new-age to take big strides on the uncharted path. These kind of individuals are indeed a bone for the society. All the best! I have a huge respect for her. She has not only created her own legacy, but laid the foundation for others to follow the suit. Impeccable! Sweta Mangal is an inspiration for the young women, who are sometimes shy of unleashing themselves as entrepreneurs. There is nothing as good as serving the less privileged people.